This year, the CBC Thunder Bay is going bigger with our annual Sounds of the Season fundraiser and have added more communities to help during the holiday season. Christmas is approaching, which means it's time for the annual CBC Sounds of the Season fundraising campaign, in partnership with the Regional Food Distribution Association (RFDA), Thunder Bay International Airport, and a handful of generous regional airlines. Like the years before, the goal for Sounds of the Season is to collect as much food as we can and fly it up to remote First Nation communities in northwestern Ontario just in time for Christmas. This year, we're going bigger with our annual fundraiser and have added more communities to help during the holiday season. For the 2018 CBC Sounds of the Season, a total of five planes will be heading up to 10 remote First Nation communities to deliver thousands of pounds of fresh produce, like potatoes and carrots, as well as non-perishable items like soup and pasta. "We're getting more and more communities coming on board and excited about being part of the CBC's Sounds of the Season," RFDA executive director Volker Kromm told CBC Superior Morning host Lisa Laco on Tuesday morning. "So right now we have about 10 communities that are signed up and there's a few more that are chomping at the bit to be included as well, but we only have so much capacity." He said approximately 40 thousand pounds of food is getting delivered to northwestern Ontario on Friday morning from southern Ontario, thanks to the Southwestern Ontario Gleaners and the growers in Leamington who generously donated their produce. "There was a lot of capacity in Canada, especially southern Ontario with the greenhouses and farmers there, so they have made a long term commitment to take some of that surplus ... and share that, and we're grateful for that," Kromm added. The delivery of thousands of pounds of food is all being done with the help of a number of generous sponsors including Wasaya Airways, North Star Air, Perimeter Aviation and KBM Resources. For this year's Sounds of the Season, the Ottawa Food Bank, along with airline Canadian North, have also decided to join the campaign and offer their help to provide food for residents in Iqaluit after they lost a grocery store to a fire in November. "Volker and I are both colleagues on the board of the Ontario Association of Food Banks and Volker spoke to me about an urgent need that came from Iqaluit," Ottawa Food Bank CEO Michael Maidment said. "I think it was an immediate, let's help, ... and this was another community that needed help and we were in the position that we could do that." He said Canadian North also stepped in and offered to ship 4,500 kilograms of food for free on their plane. Maidment said he also spoke to the food bank in Iqaluit to find out what kind of produce and non-perishable items they need in the community and then reached out to Loblaws for some extra assistance. "When they heard that we were helping the food bank in Iqaluit, they gladly said they wanted to help," Maidment added, "and they are actually providing the 4,500 kilograms of food at no cost." He said all it took was one "email with a question" and within an hour he "had a response." The food is expected to be delivered to Iqaluit by December 14 and Maidment said he will also be on the plane when they deliver the food. 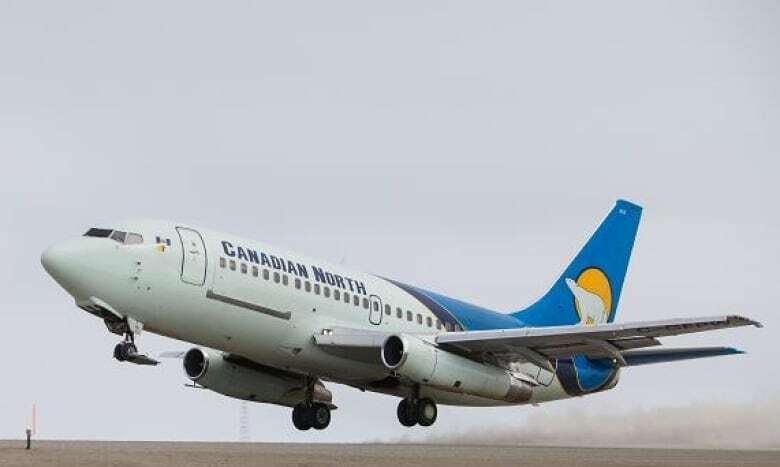 "We carry people and cargo and it's always good to see how much these things are appreciated ... so we were happy to provide a seat as well," Canadian North manager of communications, Kelly Lewis said. He said when he was first approached with the idea to help bring food up north, he thought it a great idea as it "fits in with what [the airline] does."